From minor regulatory adjustments to landmark reforms, state and local Health and Human Services (HHS) agencies are constantly adapting to changing requirements to provide vital benefits for the citizens they serve. Policy changes or initiatives to improve social and clinical outcomes often require a modernization of systems to manage eligibility determination, benefits enrollment, claims adjudication, and other mission-critical processes. Building these systems in the cloud affords organizations increased speed, agility, flexibility, and cost savings that frees up budget to support innovation. So while perspectives on the best path to an optimized healthcare system may vary, there are important trends to consider as agencies continue to work to deliver a more personalized and digital experience for their citizens. Important healthcare solutions may lie in disparate datasets. At the core of these health-policy initiatives is data pulled from countless systems and organizations. Agencies that are able to unlock this data to share within and across organizations realize the most efficient use of resources. Big data and analytics allow HHS agencies to become increasingly collaborative and to generate insights that will identify trends in utilization, quality metrics, and incidents of redundancy. For example, American Heart Association’s Precision Medicine Platform will include a vast array of curated datasets that are centrally stored, easily searched and accessible, and managed on the AWS Cloud. The platform enables researchers and clinicians to aggregate and analyze a rich breadth and depth of data and, in turn, allow researchers to uncover critical cardiovascular disease insights that translate into medical innovations and positively impact millions of lives. From prenatal disease screening to targeted cancer treatments, precision medicine has the potential to revolutionize healthcare by changing the roles of providers, patients, and payers. Rather than focusing primarily on treating chronic diseases, the unique genetic makeup of each individual will allow for personalized medicine. The size of our senior population is growing at a faster rate than ever before. Every day, ten thousand Americans celebrate their 65th birthday, and most of them are managing multiple chronic health conditions. While this pace is expected to continue into 2019 and beyond, the pool of healthcare providers is not expanding nearly as quickly. The role of technology will continue to increase as it is leveraged to facilitate care remotely, mitigate impacts of the healthcare provider shortage, and empower our older citizens to live independently in their homes and communities. Once again, agencies who are able to access and analyze datasets in the cloud gather invaluable intelligence on where their resources are most effectively applied. To be prepared for the uncertainty of changing healthcare laws and regulations, health and human services programs at every level of government will continue to need modern and adaptable technologies to deliver effective services to citizens. The AWS Cloud works with HHS agencies to provide the flexibility and agility to remain futureproof. 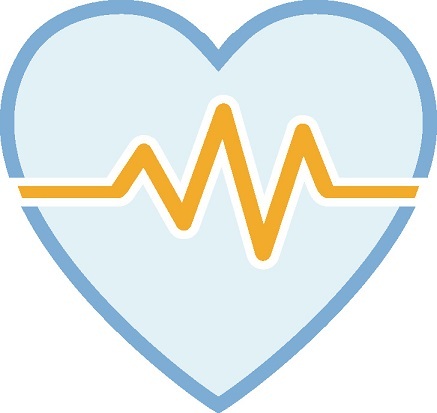 Learn more about AWS for Health and Human Services here.